Tis’ the season to be jolly! Give the Gift of Wellness! Show your love and appreciation to those close to you with the gift of yoga! 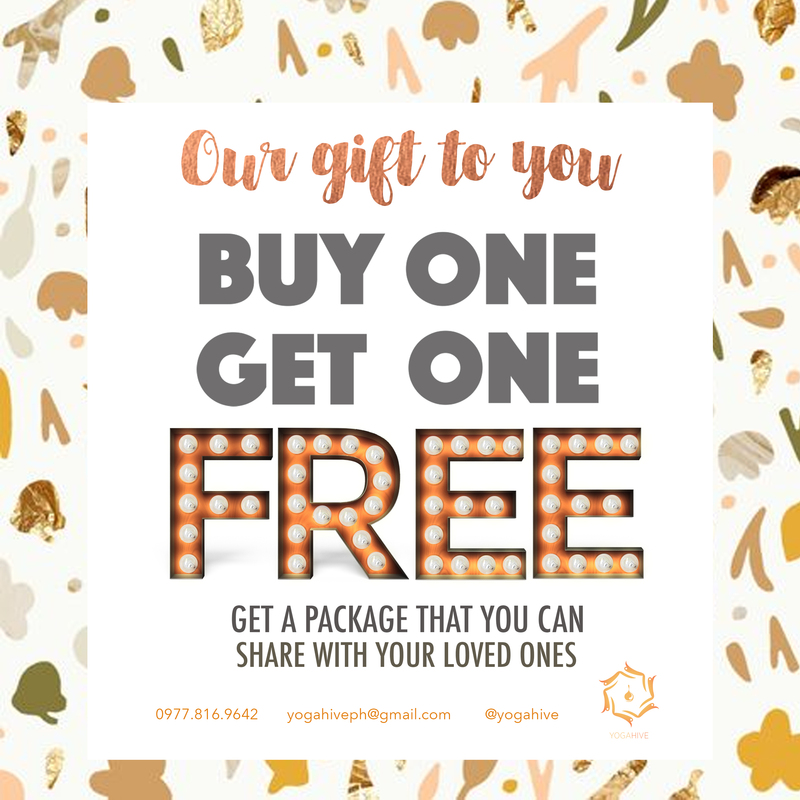 Buy One Month Unlimited Yoga and Take another One Month Unlimited Yoga, FREE! 1. YogaHive gift cards are not redeemable for cash and cannot be returned for a cash refund. 2. Gift card must be activated on or before December 30, 2016. 3. Gift card is transferable to new students, friends and family members who have not yet practiced at YogaHive. 4. We accept no responsibility if a card is lost, stolen, destroyed, or used without your permission. 5. No discounts will be given when purchase on gift cards are made. 6. Freezing of package is strictly not allowed. 7. Strictly ONE package per person only. 8. Promo period is from November 28 to December 30, 2016 only.